Goodnight! MRT @KTtheDisneybear Sunny Day at #Disneyland! Bagaimana progres pembangunan MRT di masing-masing stasiun hingga saat ini? MRT stands for "Modified ReTweet"
How to abbreviate "Modified ReTweet"? What is the meaning of MRT abbreviation? 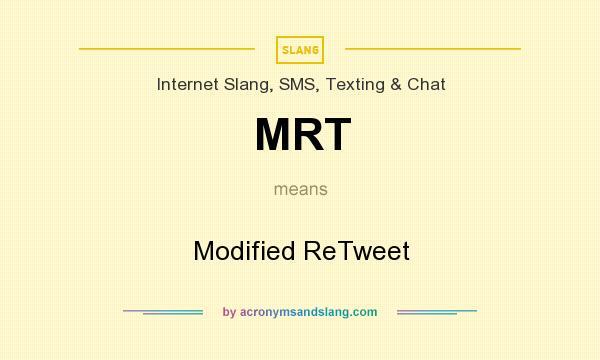 The meaning of MRT abbreviation is "Modified ReTweet"
MRT as abbreviation means "Modified ReTweet"